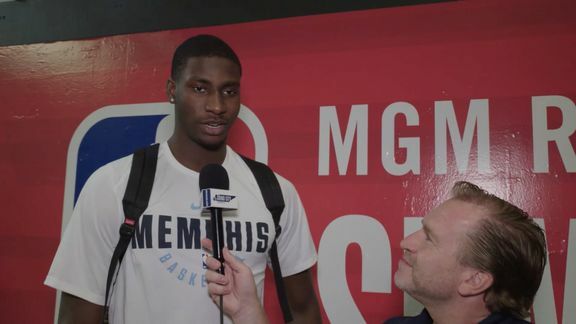 Eric Hasseltine goes 1 on 1 with Jaren Jackson Jr.
Grizzlies forward Jaren Jackson Jr. speaks with Eric Hasseltine after the game against the Blazers. 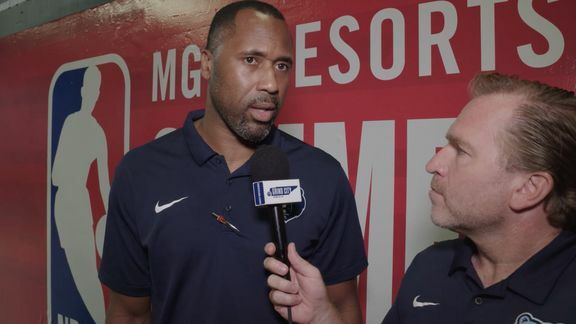 Grizzlies coach Greg Buckner talks with Radio Play-By-Play Announcer Eric Hasseltine following last night’s game against the Blazers. 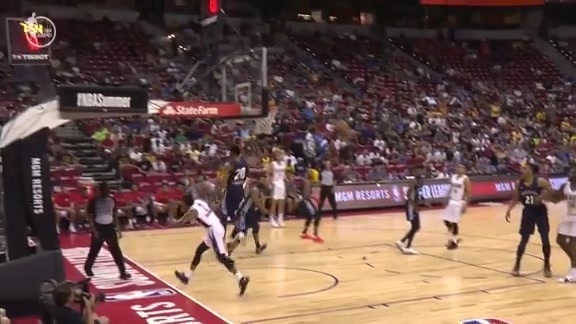 Take a look at the Grizzlies highlights from their final Summer League match in Las Vegas on Monday night. 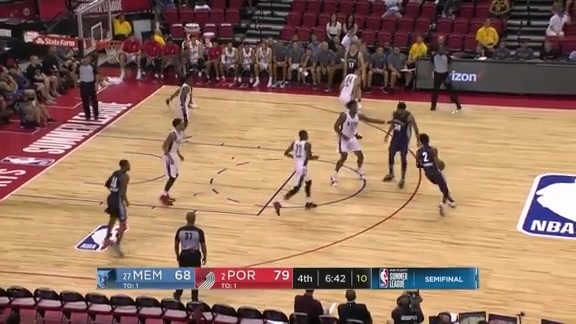 Crawford buries the three right on time to end the third quarter Monday night against Portland. 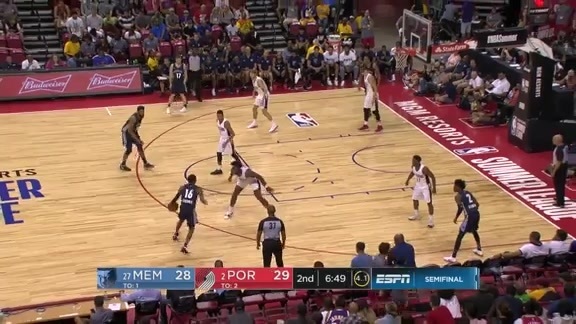 DJ Stephens sends Baldwin's shot into the stands with this no look block. 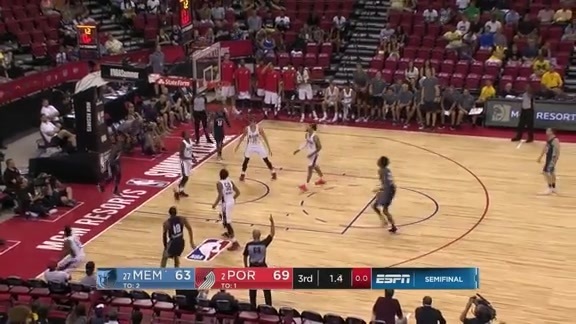 The Portland Trail Blazers narrowly edged out the Memphis Grizzlies, 97-92, in Las Vegas Summer League action at Thomas and Mack Center on Monday night. Brandon Goodwin scored a team-high with 27 points and three assist. Kobi Simmons contributed 23 points, six rebounds and three assist. 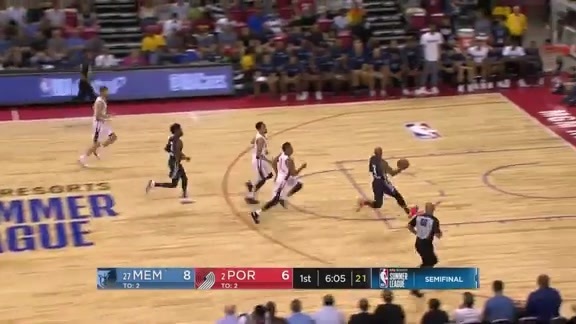 Markel Crawford added 19 points on 50% shooting.